Get permanently attached teeth while you sleep in just one day. After the procedure, you can eat, speak and smile with confidence. All four titanium implants are placed so that the bone will grow around and secure them in place. With only four implants, there is much less invasive and lengthy surgery. Once the implants are in place, Dr. Taimish attaches abutments to which the new replacement teeth can be secured for a comfortable and a beautiful smile. With the All-on-4 dental implants procedure, the patient has one or two visits to the All-On-4 Dental Implant Centre to gather information for a comprehensive treatment plan. Treatment plan might include a 3D CT Scan, X-Rays, jaw relation records, impressions and photos. Following this consultation, the patient is scheduled for the All-On-4 Procedure and the new teeth are fitted and adjusted, all in one appointment while the patient sleeps comfortably. All-on-4 Dental Implant Centre operates the Kodak 9300 Medium Field CBCT, as well as a digital panoramic and cephalometric unit. 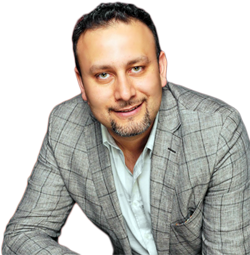 Dr. Taimish received his DDS from New York University College of Dentistry. Following training at Syracuse University Hospital Department of Surgery, he was accepted into the six year MD/DDS program in Oral and Maxillofacial Surgery at Detroit Receiving Hospital and Wayne State School of Medicine. He received training in surgical head and neck anatomy. He has taken hundreds of hours of continuing education in implant dentistry and oral surgery. His main focus is removal of impacted wisdom teeth, surgical extraction, dental implants, bone grafting, All-on-4,™ and teeth in a day. 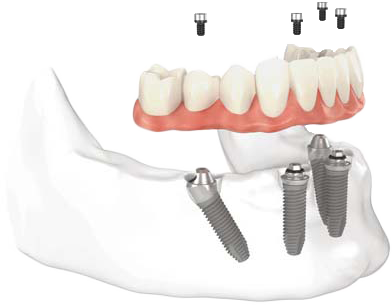 Who should consider All-on-4 Dental Implants? Who is a candidate?